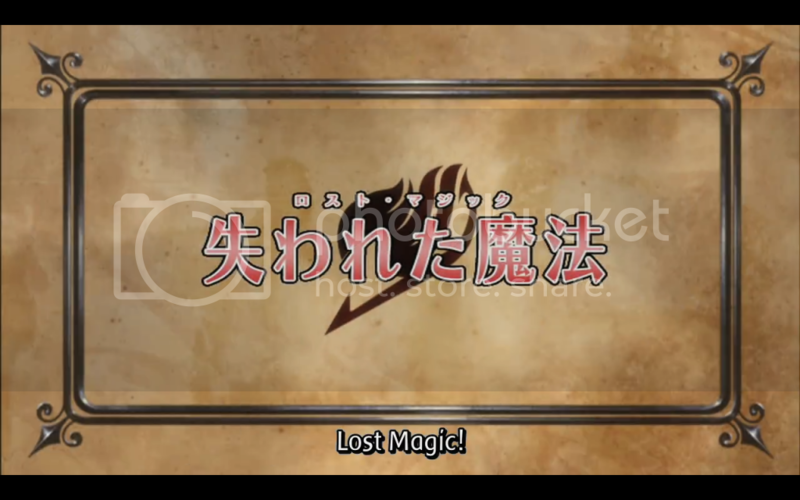 Anime Reviews: Fairy Tail Episode 104 – Lost Magic! 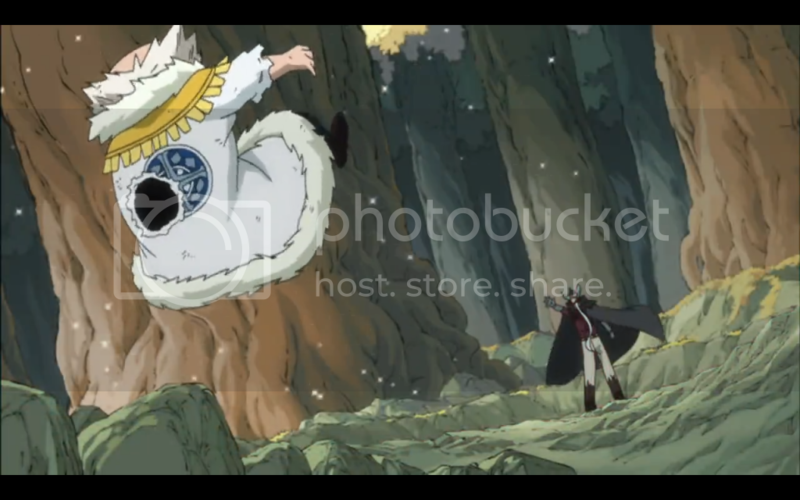 After a flashback to when Makarov was young and Purehito was still master, Hades takes down Makarov and the two fight. 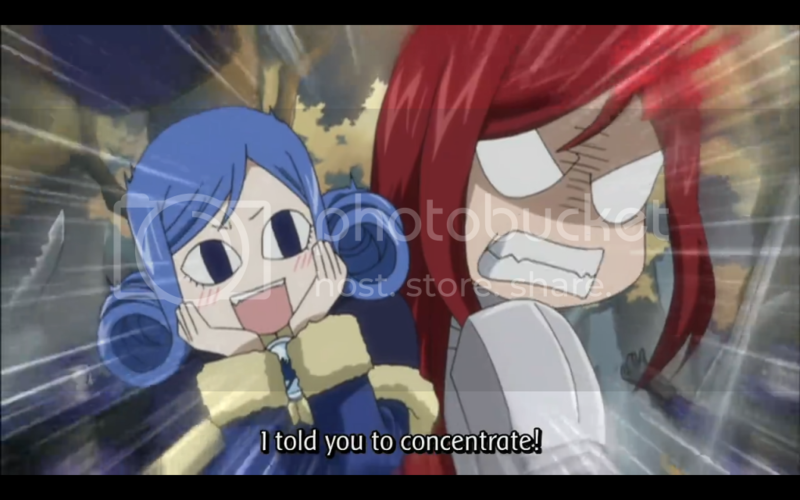 Makarov matches Hades blow for blow, but the clear advantage lies with Hades. 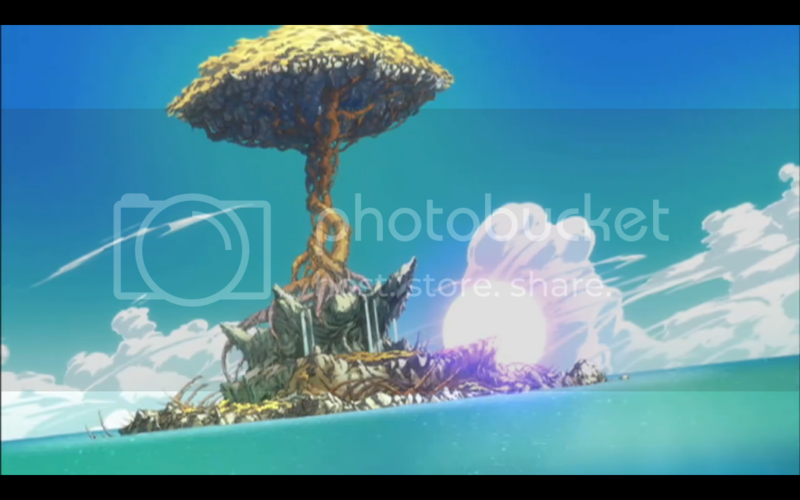 After a massive attack, the scene shifts to the other Fairy Tail characters, who all are fighting off Grimoire Heart’s foot soldiers, and wondering where the explosion came from. 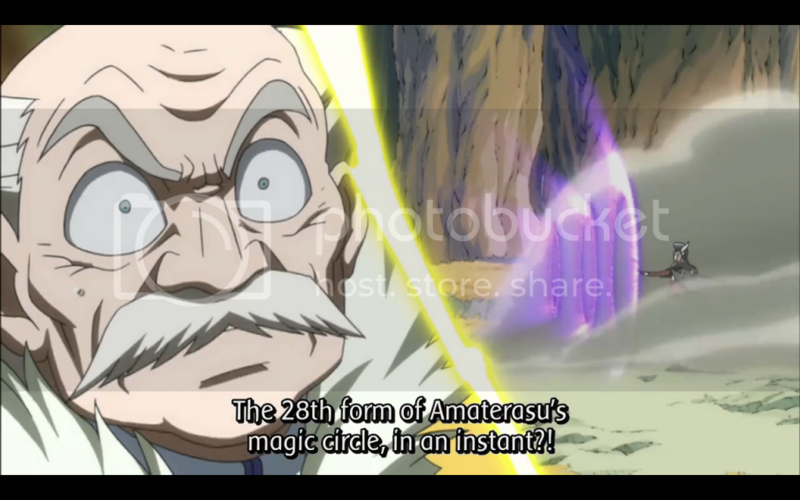 Makarov is able to stay standing after Hades’ attack, but his age shows itself when his heart starts acting up. 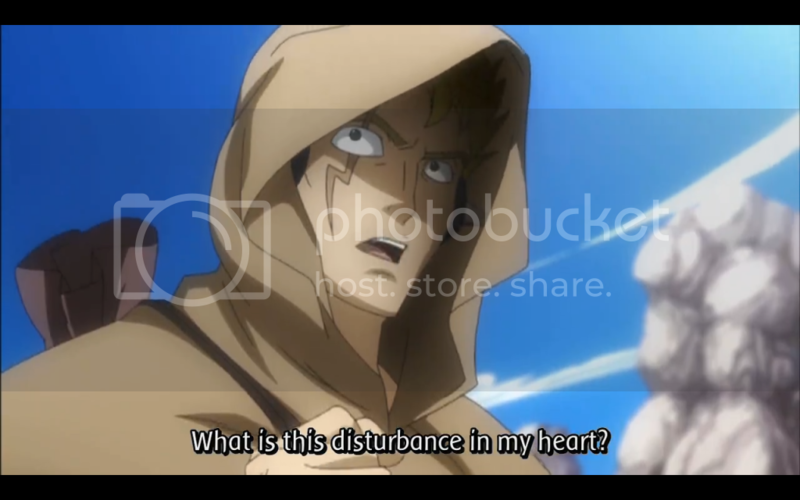 Makarov tries to find out what happened to turn Purehito evil. Hades reveals that his search for the source of all magic led him to discover that magic was originally born from darkness. He knocks Makarov to the ground and walks off. Makarov attacks him, but is dealt a fatal blow. 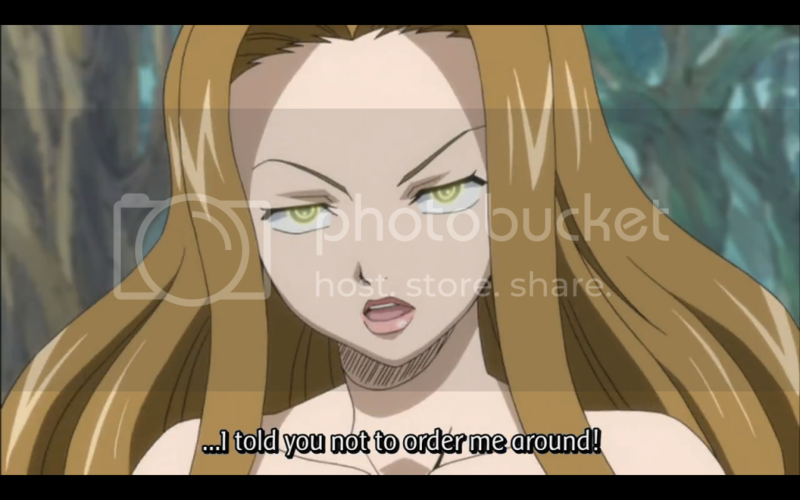 Makarov’s final plea is heard miles away, by Laxus. 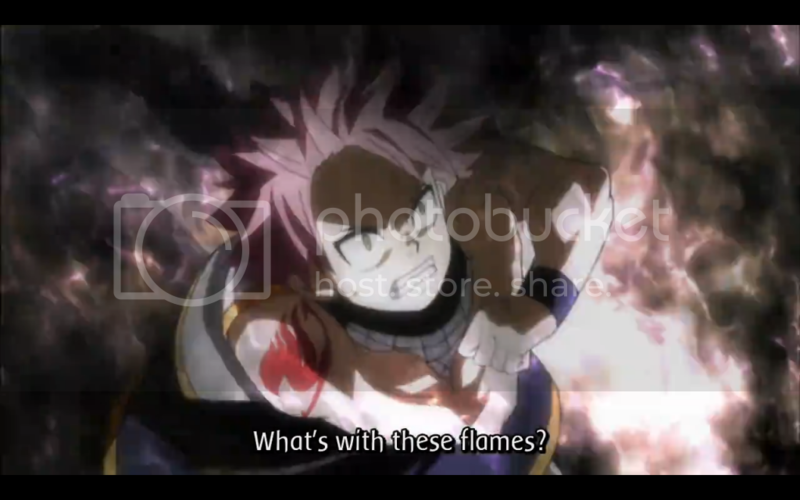 Natsu and Happy continue to fight the Grimoire Heart pawns, when one of them, obviously not having done his research, attacks Natsu with a fire spell. 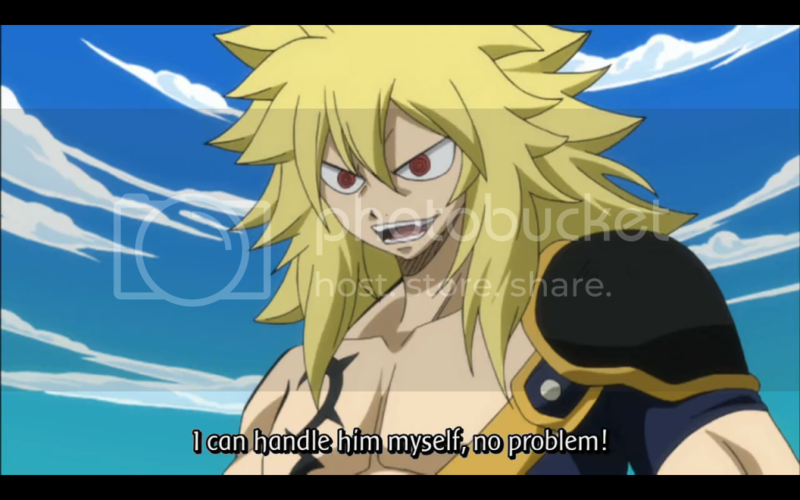 With the regular soldiers unable to stand against Natsu, Zancrow, one of the elites, takes Natsu on himself. He attacks his own guild members, with black flames. Natsu discovers he cannot eat Zancrow’s flames, who says that he is a step above a Dragon Slayer, that he is in fact a God Slayer. Elsewhere, the rest of Fairy Tail are paired up against the Seven Kin of Purgatory elites of Grimoire Heart, who Hades declares all use forbidden magic closer to the true source of magic. I was thinking of having this review be a big long rant about why I hate the idea of God Slayer magic so much. But, considering the next episode focuses on Natsu and Zancrow’s fight, I’ll save that vitriol for then. So, await with bated breath for what will be a doozie of a review. Since the majority of this episode focused on Hades and Makarov’s fight, as well as the fight against the small fry of Grimoire Heart, I think we’d best focus on those. 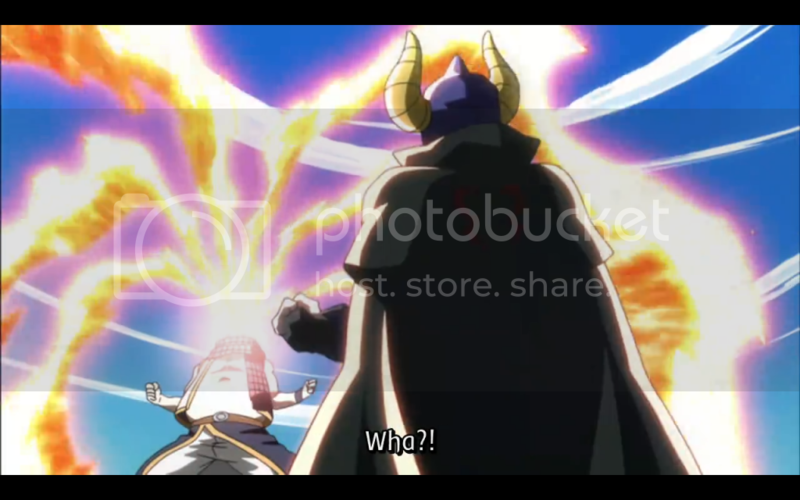 The episode opened strong with the fight between the two masters, though I find it odd that Makarov is having heart problems, when Hades—who is most definitely a lot older than him—is going strong. The fight was disappointingly short, with the magic being not so much impressive visually as it was we were meant to believe what they were doing was impressive based on what the characters were saying. I couldn’t really tell the fight apart from any other fight in this series. It just didn’t have the sense of scale that a conflict between such big characters would need. The rest of the episode, for the most part, was the other characters having a few seconds of screen time and using it to comment about how many enemies they were facing. In some cases they seemed like more of a threat than others, but in the case of Natsu’s fight it was clear they were no match. 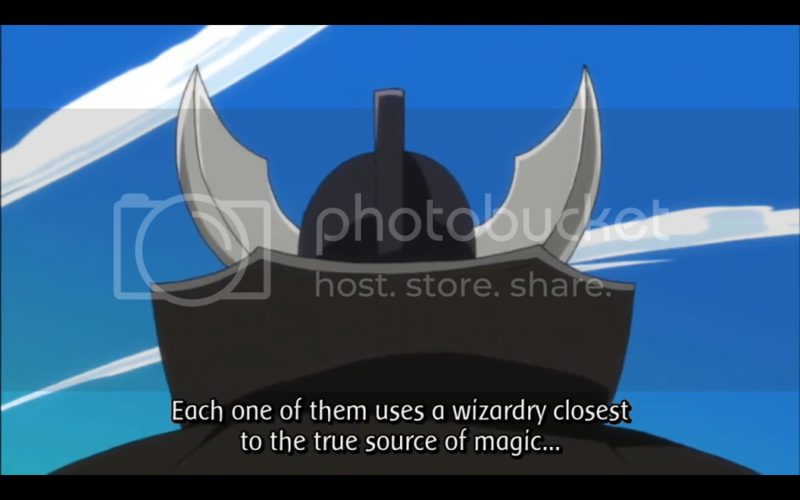 I’m surprised a wizard would use fire against any Fairy Tail wizard, knowing there is a wizard in the guild who gets stronger when he eats fire. The fire animation for Zancrow leaves a bit to be desired. The idea of black flames just doesn’t come across that well in this animation. Rather they just looked like regular shadows. I think his power would work a lot better were the flames not done in cgi, but besides making it hard to see the screen they weren’t all that impressive. Though, I suppose, they did give the scene the proper kind of oppressive atmosphere. Overall a solid episode, if a bit more fractured than normal. We still got two main focal points, but those were shorter than they’ve been in past episodes. And while this format is preferred to scenes being stretched for time, it does eventually lend to a very fractured style of storytelling. Nothing’s perfect, and I hope we spend more time focusing on individual fights in the next few episodes to help give us a bit of a break. Switching between the different scenes can get a bit hard to keep track of. 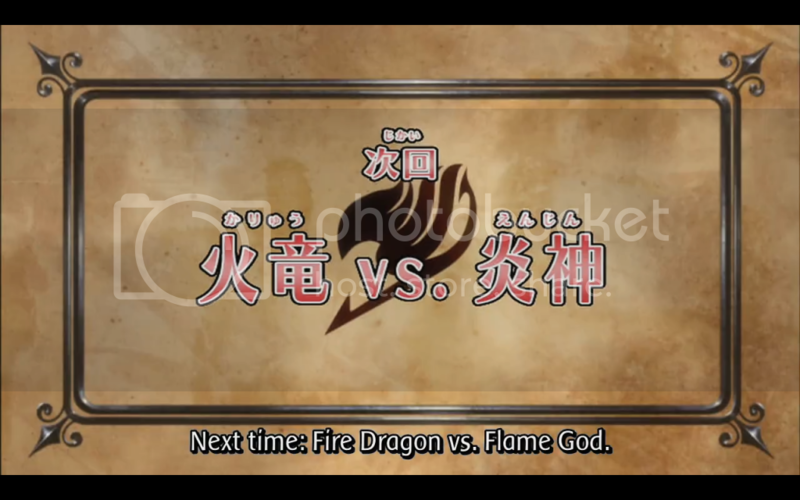 Next Post:Anime Reviews: Fairy Tail Episode 105 – Fire Dragon Vs. Flame God!